Poetic Energies Across Sonic Space 2017 will explore the cross-artform attitude of the Chinese literati towards artistic creation and scholarship to express the dynamic relationship between Australia and China in the local contemporary setting. Venerable ethnomusicological scholar Edward Ho in "Aesthetic considerations in understanding Chinese literati musical behaviour" (Ho 1997, British Journal of Ethnomusicology) notes this confluence of creative philosophy across artforms. This interaction of energies across artforms will be the basis of this interaction between poets, calligraphers and visual artists/photographers, musicians and composers in poetically inspired visuals interacting with sound. There will be professional film documentation of the performances. A formal paper-giving symposium will contextualize and explore the multi-artform creativity. This symposium linking practice and scholarship is based on current intercultural engagement between China and Australia in 2017. It consists of two multi-dimensional creative concerts and a symposium. FREE. Registration Essential. Please RSVP HERE (opens in a new window). Poets, improvisers, composers, musicians, photographers and filmmakers explore interactive creativity across swirling energies of Australian literati collaborations. Blues sonic grit meets with punkish action, coolly calculated mathematical musical structures and traditional Chinese guzheng techniques with contemporary Australian improvisation and poetry in interactions with distilled Chinese images, Melbourne colour vibrancy and inner Sydney inspired filmmaking. 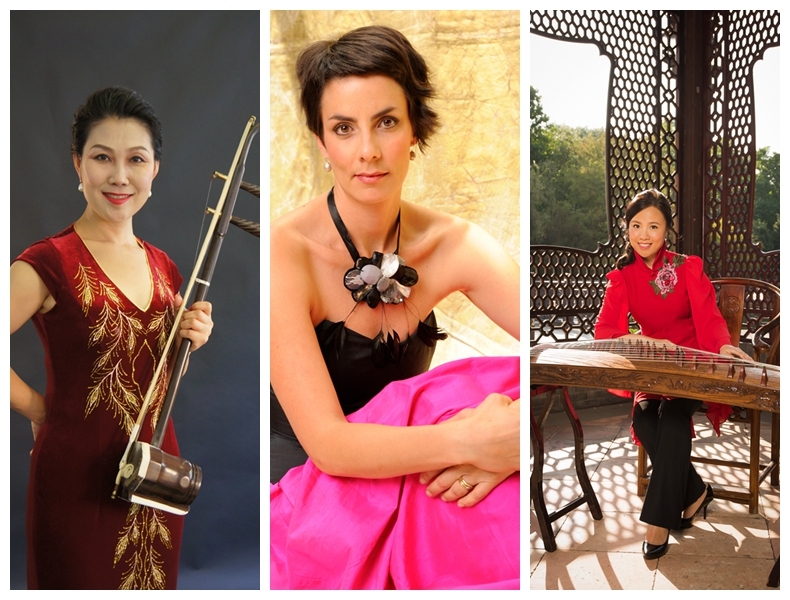 Chiu Tan Ching is a leading Hong Kong contemporary guzheng virtuoso whose work with the Hong Kong New Music Ensemble includes the prestigious New Vision Arts Festival. She is a core member of the HKNME who are hailed as "one of Hong Kong's most progressive groups of musicians" (CNN). There will be scholarly reflection and exploration of the issues of energy through multi-media artistic connectivity related to the Chinese literati philosophy of multi-artform expression within Qiyun energy and its applications across thinking plateaus, including practice-led paradigms coordinated by Bruce Crossman. Poetic utterances across theatrical space working with blues improvisers, traditional Chinese zither techniques in interactions with contemporary sound installation, intercultural composition and Medieval-like sonic stasis composition, all within visual calligraphy and contemporary painting techniques, provide a multi-artform exploration of Qiyun energies. 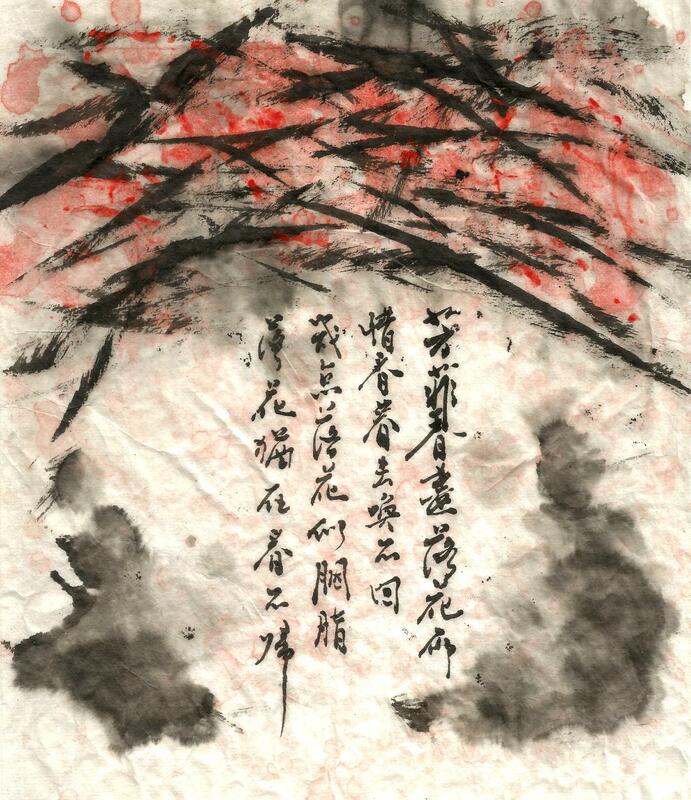 Calligraphic action and acrobatic vocals from a calligrapher and Peking Opera singer provide swirling reminders of the labyrinth of energies being unleashed in this event, all resonating within a backdrop of ancient poetry from Tang Xianzu, the Song of Songs, and Shakespeare. Liu Ying was born in Shenyang, in China's northeast, now resident in Sydney, Australia. She began playing the erhu at the age six, graduating from the Shenyang Conservatory of Music in 1994. 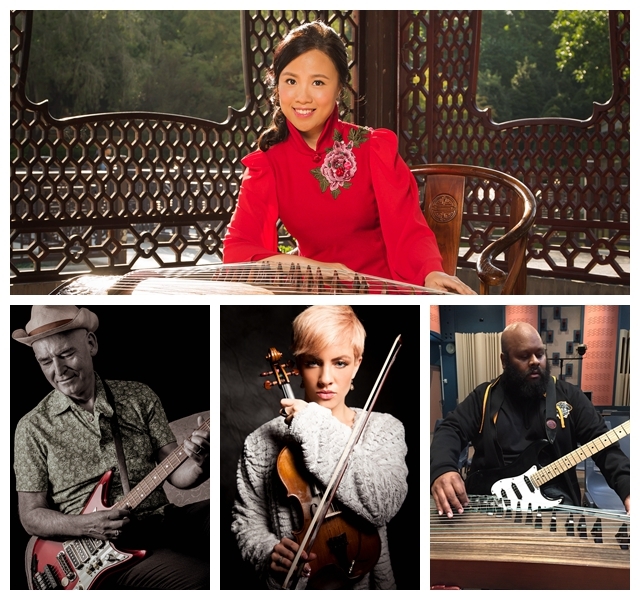 After migrating to Australia, Ying is keen to continually promote Chinese music and culture. Ying has established an international reputation for her compelling performances and artistic individualism. Claire Edwardes (percussion) is an internationally renowned percussionist and artistic director of Sydney new music group, Ensemble Offspring. Career highlights include solo performances at the Huddersfield Contemporary Music Festival and prizewinner as part of Duo Vertigo at the 2005 International Gaudeamus Interpreters Competition. She won the 2016 Art Music Award for Outstanding Contribution by an Individual.